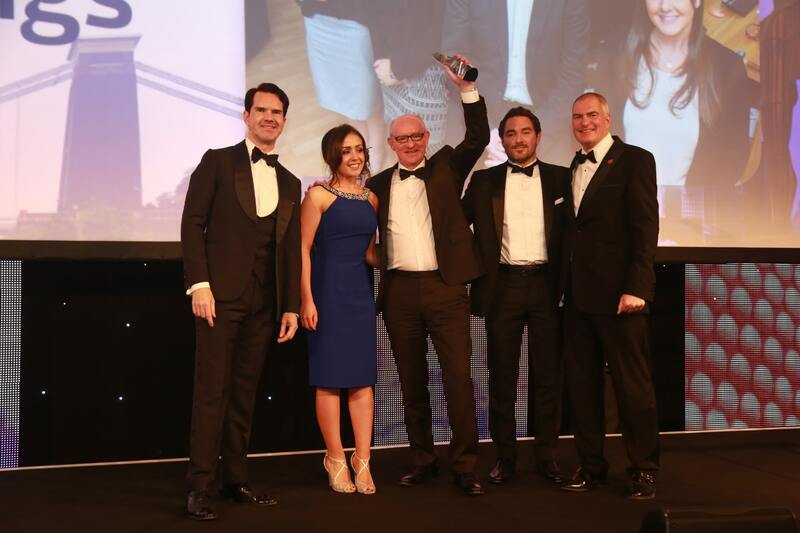 The Negotiator Awards, also known as the Property Party of the Year is the most respected and extremely popular awards ceremony within the residential property market and we were delighted to be shortlisted for two awards. Western Lettings attended the exclusive event on Tuesday evening (31st October) which was held at The Hilton Park Lane London. The Grand Ballroom was buzzing with a fantastic atmosphere and catered to over 750 agents with a mixture of Lettings and Sales backgrounds. This spectacular event was hosted by one of the UK’s leading entertainers and famous TV presenter Jimmy Carr, who delivered fun and laughter throughout the night. We are thrilled and so excited to announce that we have been awarded not only one, but two awards achieving Gold for Scotland Agency of the Year and bronze for Small Letting Agency of the Year. ‘This is our first foray into agency competitions and I am absolutely overwhelmed at winning not one, but two awards! 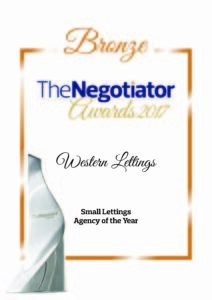 This is a huge achievement for Western Lettings as a whole and is great recognition of the hard work and dedication that we give to our Landlords and Tenants on a daily basis. We have always strived to excel as a boutique letting agency within a very crowded market and I feel that we are now on our way to achieving this goal. I would like to take this opportunity to give huge thanks to all the staff at Western Lettings who go above and beyond on a daily basis to ensure that we provide the highest level of service possible. Western Lettings wouldn’t have been able to achieve these awards without such dedication behind the scenes.